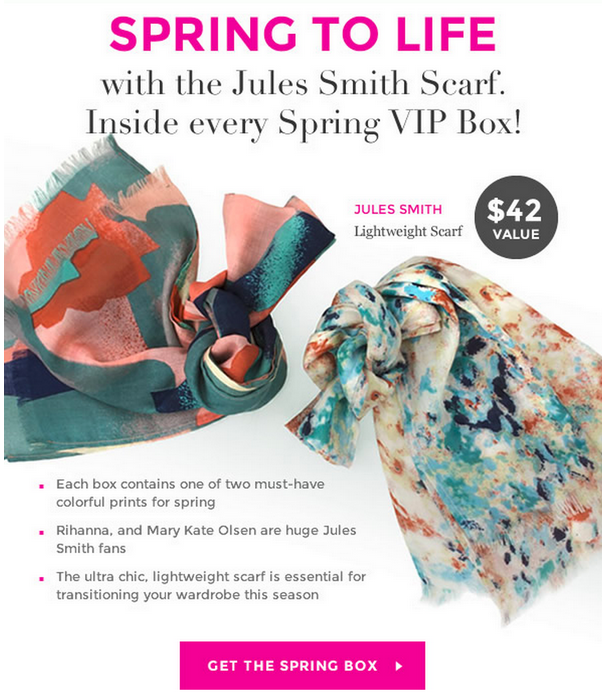 Everyone will receive one of two Jules Smith Watercolor Scarves in their Spring 2015 FabFitFun box!! I think they're both pretty but I think I like the one on the right better myself. 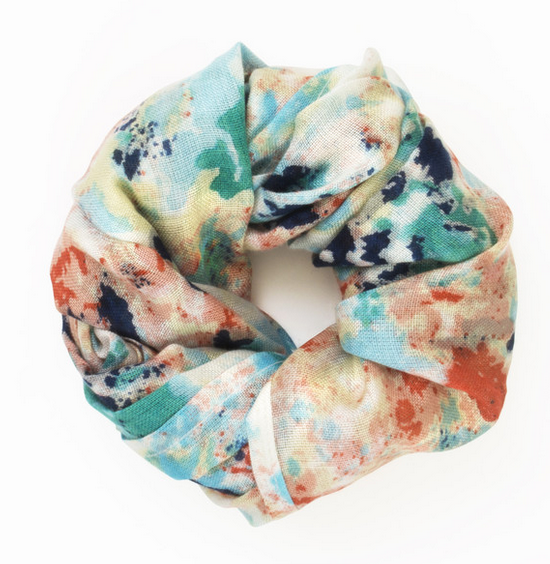 These scarves have a $42 value and are perfect for Spring! They are also Fabfitfun exclusives! 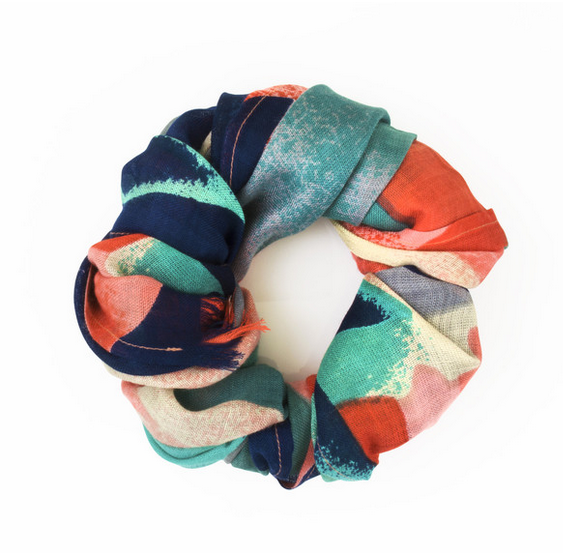 They are made of lightweight cotton viscose with feather fringe detail. Measures 60" long and 12" wide. If you want to sign up for Fabfitfun make sure you use a coupon code!! Use TENOFF to get $10 off your first box. Regularly $49.95. Well, that's good! Then you won't be disappointed no matter what you get!